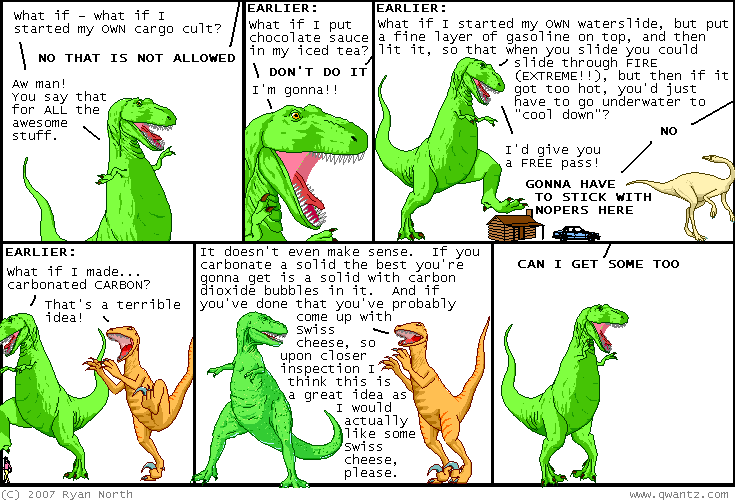 Dinosaur Comics - October 30th, 2007 - awesome fun times! October 30th, 2007: Hey, if you check out Homestar Runner (or more specifically, this year's Hallowe'en cartoon, you may notice a sweet cameo in there! Awesome. I managed to embed my own Homestar reference in Dinosaur Comics back here, so what this means is our websites are married now.